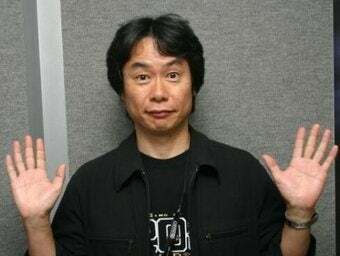 In an interview with the San Jose Mercury-News, Nintendo's Shigeru Miyamoto downplayed the importance of digital distribution to the company's future. Personally, I'm one of those guys who, even if I have all the songs from iTunes, I want the CD as well. I feel more reassured with that physical media. Entertainment is something that will not just become digital. If I look at Wii MotionPlus, this is something that you're not doing via digital distribution. The thing for us is we really don't see the future of video games being merely confined to digital distribution or moving solely or even to a majority of our products being distributed that way. That's not Nintendo flipping the bird at digital distribution, per se, but it does mean that physical media is going to be a staple of its publishing m.o. for some time. The statement about wanting a CD in addition to having the mp3s seems a little bit antiquated as well. I'm not sure why anyone would buy the CD after getting music. It can't be for the luxurious LP art.